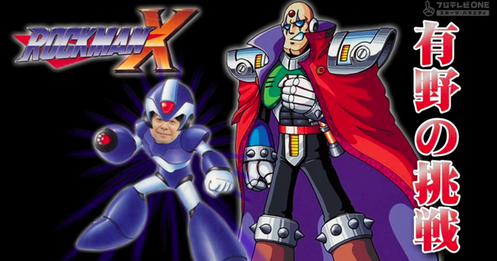 Shinya Arino is actually a noobie... he thought Mega man X was a Mega man game. He said Mega man grew up into X. He has no idea what the game is about, so he was curious to play the game and got him killed. He said the skill had nothing with it. Just mashing buttons. What?! And he corrected wrong when the homing missile can defeat Sting Chameleon and different weapons used against wrong bosses. Seems like you lack the proper knowledge of GameCenter CX it self. And also, I'm amazed seeing him defeating Sting Chameleon with that way. Does anyone know the song that plays during the credits?